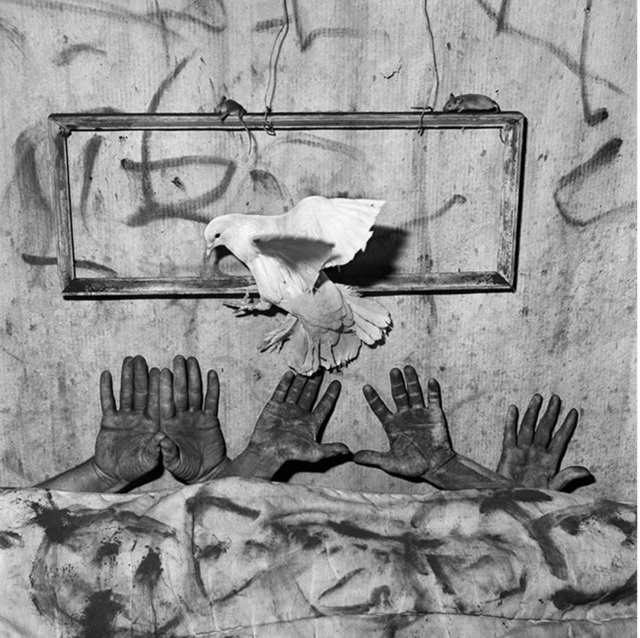 Roger Ballen challenges the ways in which we perceive the “reality” of photography. 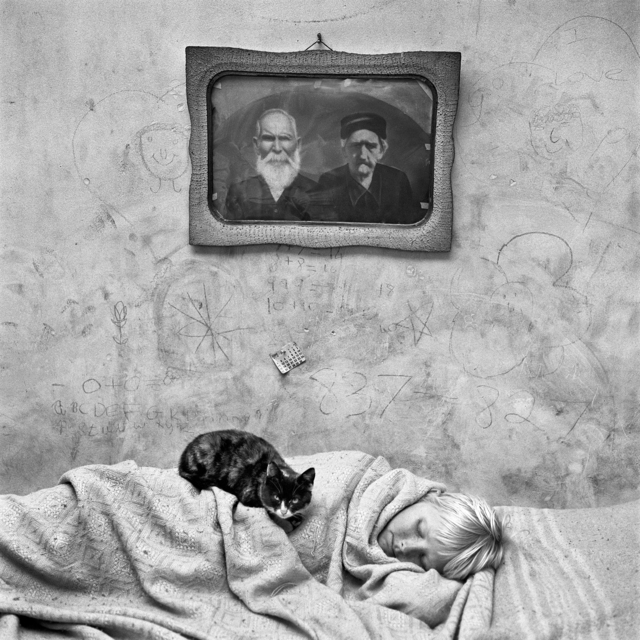 His ambiguous and surprising portraits of people, animals or objects posing in rooms that resembling prison cells, who occupy the grey space between reality and fiction, blurring the borders between the documentary photography and the artistic forms as painting and sculpture. Working where the difference between reality and fiction does not have relevance, disturbing and claustrophobic scenarios are presented to get us closer to his history. These interiors are inhabited by characters trapped in a marginal atmosphere, where the narrative thread is ambiguity. The rooms are real places, but they appear disturbing and strange, logical but also completely impossible: The walls are scribbled, covered with stains and handing wires; A multiple of strange objects and artifacts are scattered on the ground: animals move roam the space or they’re stuck in impossible containers. All the characters seem strange, but at the same time provided with great expressive force that displays a hopeful poetic turn and upsets the initial disturbing impact. 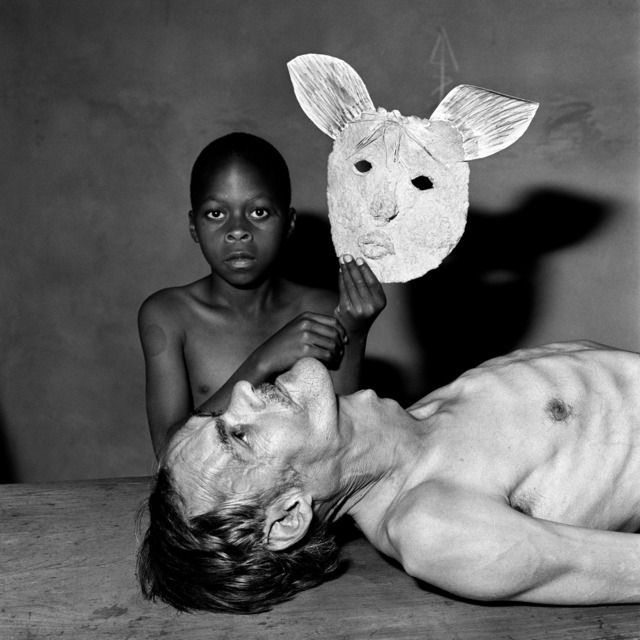 The selection of photographs that Roger Ballen will present at LAB 36 belongs to his new book Ballenesque, an exhaustive retrospective of his work. Based in a new evaluation of his photographer's archive, the book takes its title from the artist surname and takes the reader on a visual and chronological tour of his work. The exhibition of LAB 36 explores the stages of this creative journey and briefly recreates the Ballenesque's project through a selection of works from different series and with the inclusion of some of the most iconic photograph as well as unpublished works in a compendium of the trajectory of a whole life. This is will be the fourth individual exhibition of the photographer with galeria SENDA.